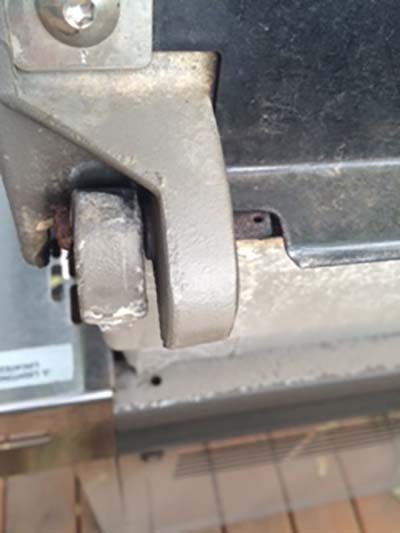 It is important to remember as part of your annual maintenance to remove and clean the cotter and hinge pins securing your lid to your cook box. If you live in a humid/salt air environment this is especially important. 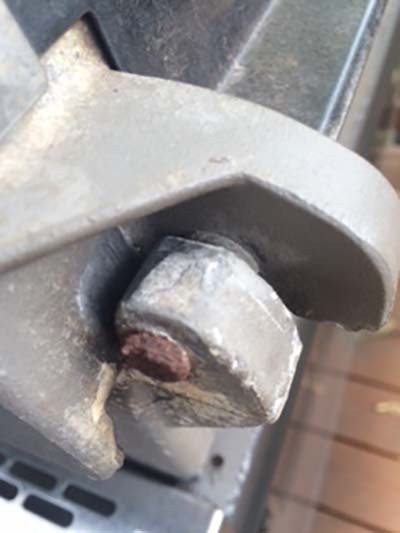 Once or twice a year carefully remove the cotter pins by pulling straight up and then remove the hinge pins by sliding them to the side. Detach the lid from the cook box and set that aside. Clean off the pins with a damp cloth to remove any debris/surface rust. Dry completely and then reattach the lid to your cook box. 1. Apply some penetrating oil and let it soak for 30 minutes to 1 hour. Then try to remove the pins. 2. After attempting the penetrating oil you can use a thin nail and rubber mallet and try to tap them out. 3. If they still can’t be removed, drilling them out is an option. Use extreme care not to damage the lid or cook box if attempting this. Start by using a center punch to punch a guide hole in the hinge pins. Use a much smaller sized drill bit to drill a pilot hole. Then use a drill bit slightly smaller than the hinge pins to drill the remains of the cotter pin out of the hole.